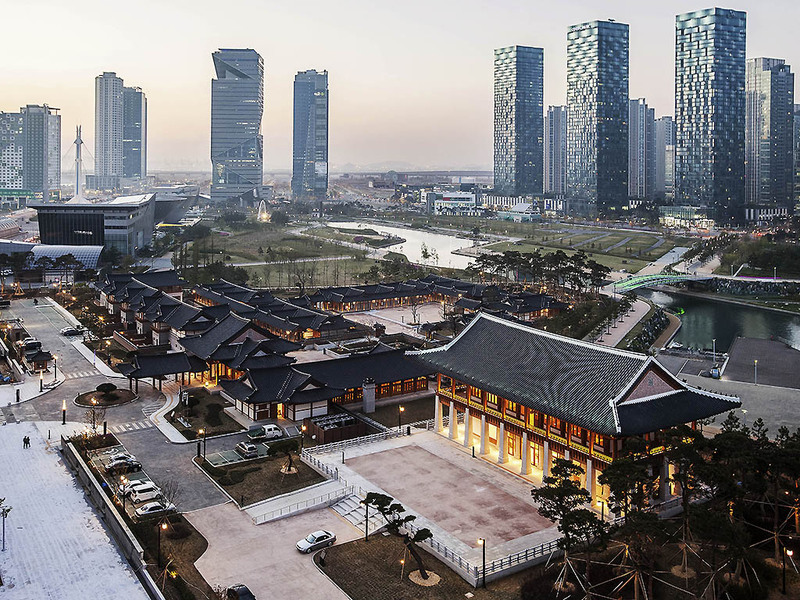 Experience the true Korean way of living at Gyeongwonjae Ambassador Incheon with traditional Korean architecture. The hotel offers exclusive rooms, suites and villas with unique Korean Ondol floor heating and Korean style beds. Besides being close to Convesia Conference Center, explore the Central Park and water activities like water taxi, kayaking or shopping at NC Cube mall. Sura restaurant in the hotel offers regional specialities on its menu, with a choice of American breakfasts in the morning. By staying in each guest room exuding the artistic spirit of Korean masters, experience luxurious services to enhance your relaxation and complete your business trip. The sophisticated interior decor of Sura and its 3 Private Dining Rooms complements its authentic cuisine. Guests can choose from the a-la-carte or five-course Korean set menus. American breakfast is served in the morning.